The DataWizards hunker down at this year's Security Summit hackathon. 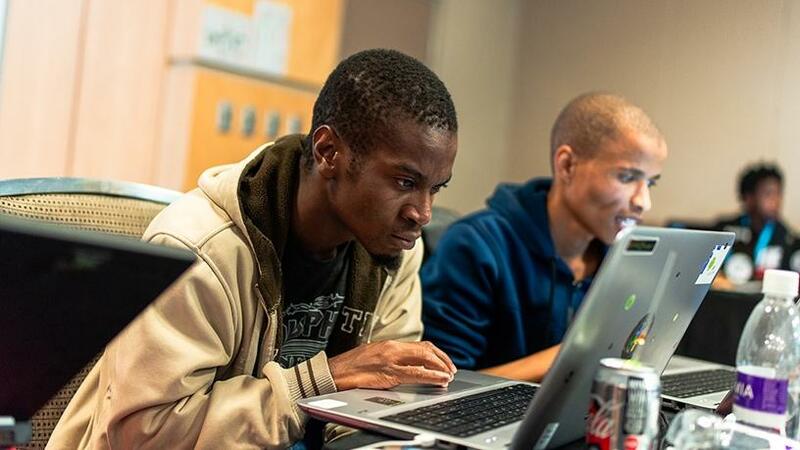 Eleven software developer teams coded for two days and through the night, fine-tuning their applications at ITWeb's second annual hackathon. 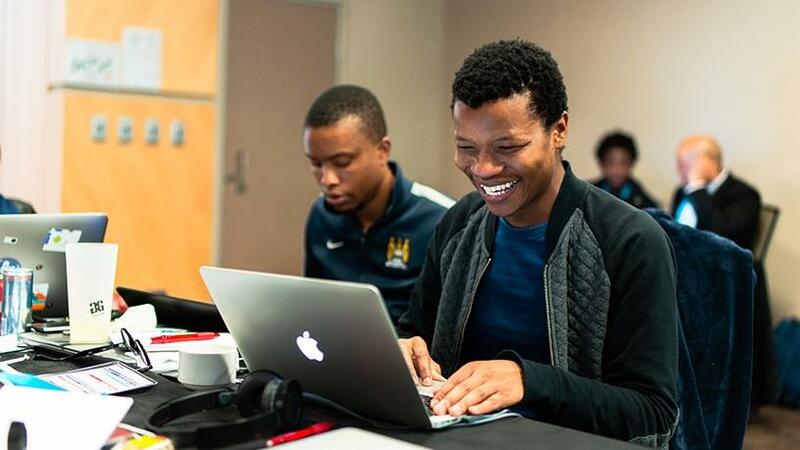 Held alongside ITWeb Security Summit 2018 in Midrand this week, the #SS18hack focused on machine learning. Teams concentrated their efforts on how the technology can be leveraged to provide real-world security solutions. The teams settled down to work on Tuesday morning, and by the next day (after a night of toil) the maturity of the solution offered by the five-man DataWizards team was evident. The judges said they were looking for working products rather than 'vapourware'. DataWizards produced a working model of a real-time fraud detection solution, using machine learning to flag anomalous behaviour. They narrowly beat the Moringa IT team, which developed a solution that leveraged the Internet of things to assist farmers with irrigation. The Knowzee team was placed third with its solution that advised users if they were sharing too much information on social networks. The winning teams won R20 000, R10 000 and R5 000. 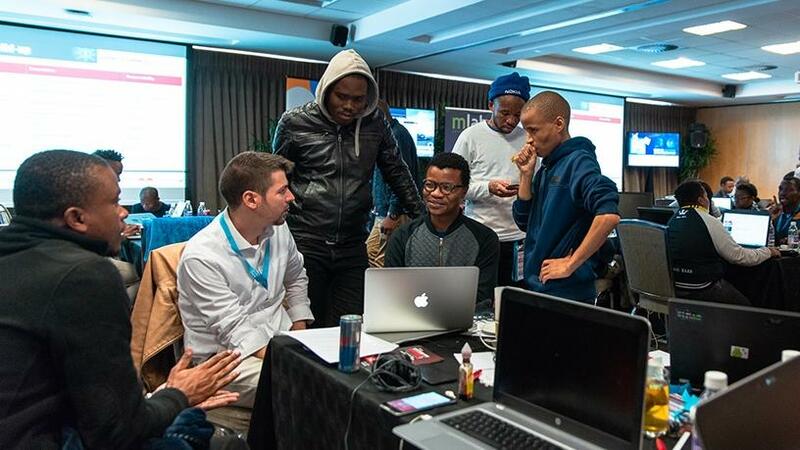 ITWeb's CEO Ivan Regasek was on hand to mentor the young developers. Speaking to ITWeb after the days of hard work, the winning team's spokesperson Mabu Manaileng (27) said: "I think the future's very bright. We're not just some kids coding. We're actual people who can use our skills and sell products. We're going to try to sell this." The team's solution could find application in financial institutions. Manaileng was born and grew up in Limpopo, attended the University of Limpopo and completed a Master's in artificial intelligence. He is currently working on a PhD proposal, and admits: "I'm still not quite finished with studying." The team also comprised Asive Dlala, Samuel Tolame, Doctor Loyd Munyai and Ofentswe Lebogo. Manaileng and his team investigated several different approaches, including a 'random forest model' (which uses decision trees to reach a conclusion), a 'support vector machine' (a framework that analyses data used for classification), as well as a deep neural net using TensorFlow (a library for dataflow programming). "The idea is to do real-time fraud detection at transaction level. As a transaction comes in, it's assigned a risk score, and then our model will choose to decline it or not, based on what the risk score is," Manaileng explained. "The risk score has an adjustable threshold, and based on the configuration, we'll decline or approve the transaction in real-time." The team used credit card datasets from the kaggle.com Web site to hone the solution. "The idea is that the neural net and the models will do profiling based on your transaction behaviour while keeping track of anomalous behaviour," noted Manaileng. The DataWizards team also worked on integrating a chatbot, which it believes will improve the customer experience. "We found that about 60% of businesses report friction with their fraud detection systems, and this is the main reason for customer churn. With our solution, you can keep your customers. You need something like a neural net, instead of the traditional rules-based system. A blanket approach to fraud doesn't work very well," said Manaileng. DataWizards coded the front-end, which the risk analyst would use, in HTML and Java, and used Python to code the server. It also coded the consumer-facing Android app. ITWeb's 2018 hackathon was sponsored by the Northern Cape Department of Economic Development and Tourism, Geekulcha, Snode and the Business Clinic. 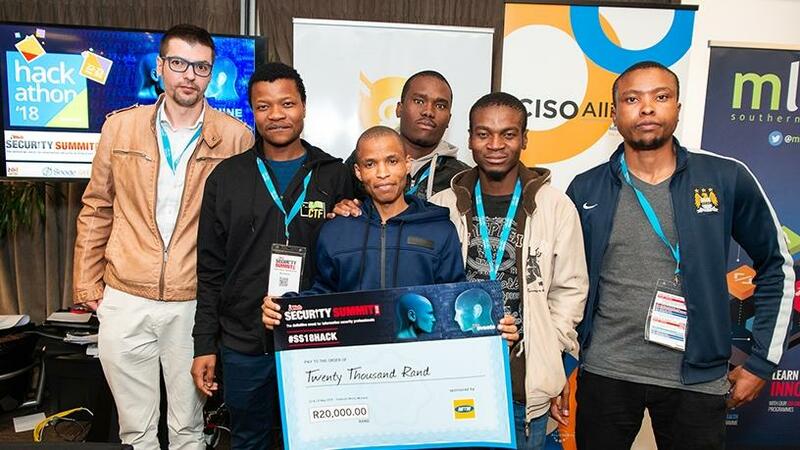 MTN and CISO Alliances sponsored the prize money.